Get ready. The time to celebrate is almost here. 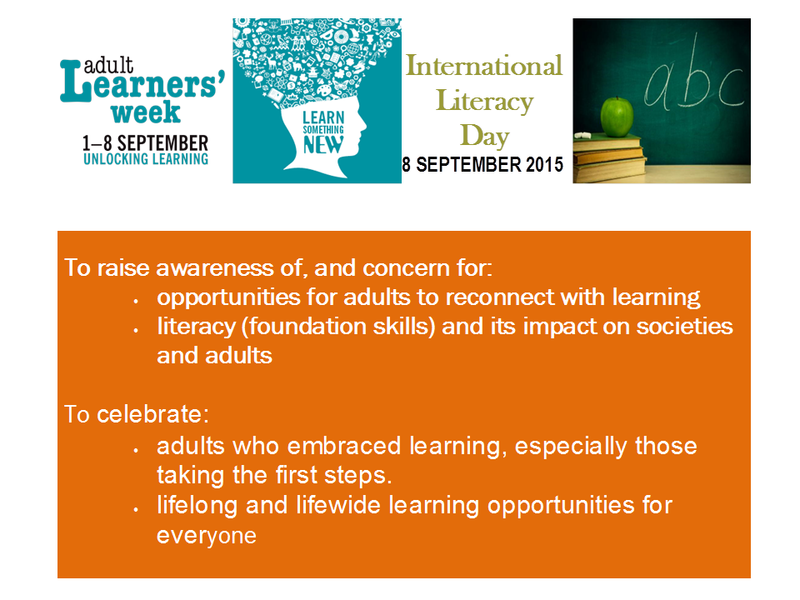 September signals two United Nations (UNESCO) endorsed celebrations; Adult Learners’ Week and International Literacy Day. It’s a time to promote the opportunities you offer to enable adults to continue to learn. It’s also time to celebrate their achievements. 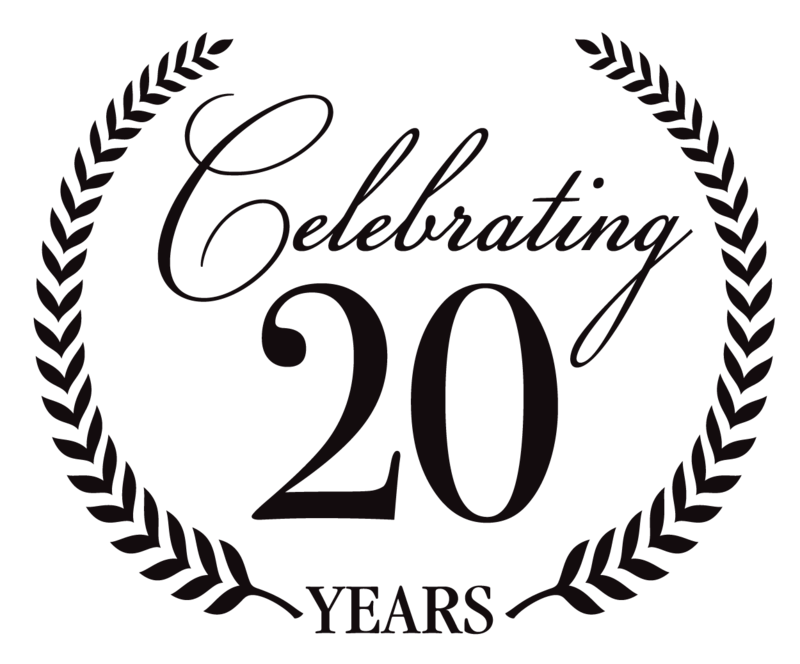 2015 is a twenty year milestone for Australian Adult Learner’s Week Celebrations. What is the purpose? What is celebrated? We stumble into each other’s lives and we knock some things over, Try not to make a sound, Each time you reach out, a new shout or shine-on, We run in and fall out, fumble around for the key …………. Regardless of the adult learners’ age, or the teaching context, it is a privilege to facilitate adult learning. participate in the LLN and VET Meeting Place Teaching Tips to build your learners’ foundation skills Webinar series. 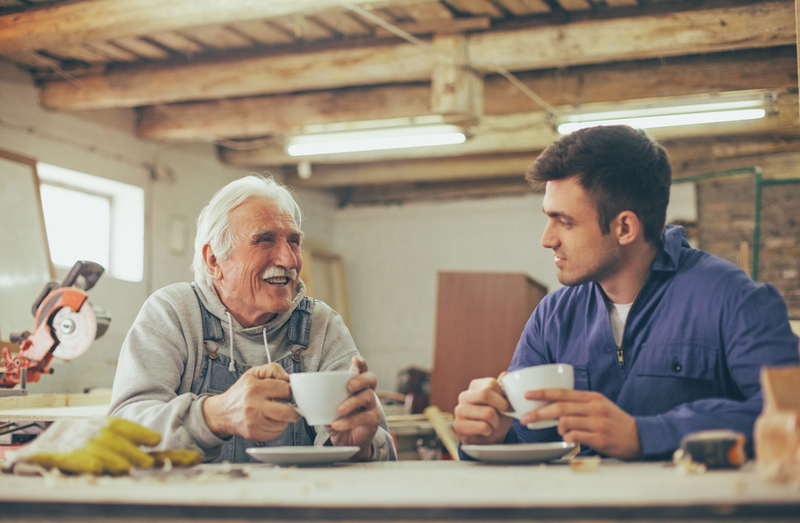 communicate with a Foundation Skills Champion in your state, or a similar workplace context. The National Foundation Skills Strategy Project provides details. ask questions and obtain ideas on the FS Teach Facebook group. register your National Adult Learning Week event. enable your learners to win an iPad Air 2.
access posters and promotional material. be part of the Adult Learning Australia’s Adult Learners’ Week Boot Camp webinars (to help you get started).